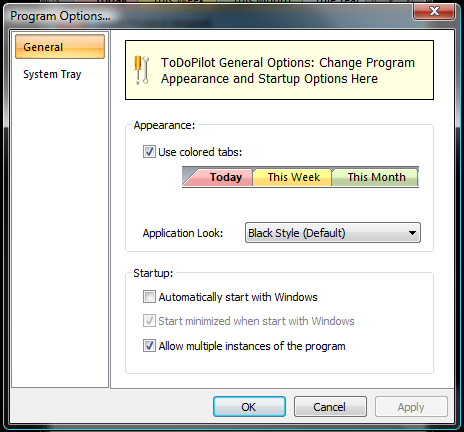 ToDoPilot's Main window. You can see four of five avaialble tabs (Today/This Weeek/This Month/This Year) and six to do items. Four are active, two are completed. 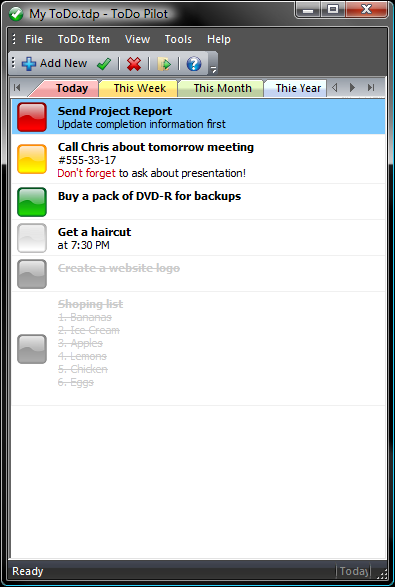 On this screenshot you can see task editor. 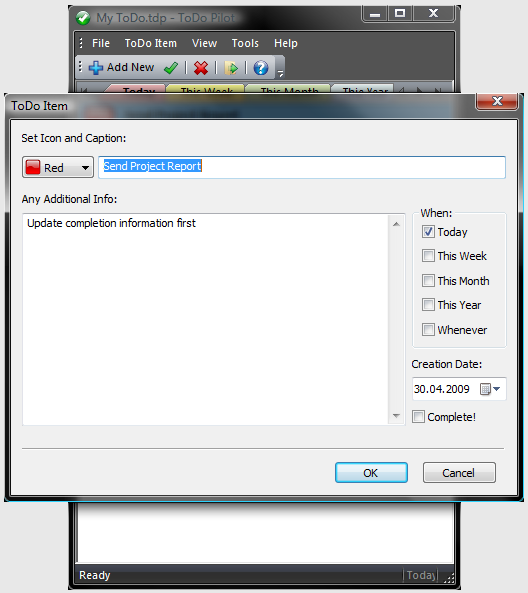 Here you can change to do item's caption, description, priority icon and creation date. You can also move to do item to tab or tooggle it's completion.